The beauty of nature have made it possible that there exist some common fruits and herbs that can easily serve as home remedies for our various disorders or ailments. One of such importance of our common home products that many of you is yet to discover is their potency in hair loss prevention. Hair loss have always been an issue encountered by most ladies of which the search for various remedies is constantly going on. In this post you shall be looking at some home remedies and tips by which they can be employed with for hair loss prevention. The fortunate part is that most of this home products can be readily seen in your kitchen. So, read on! Avocados are rich in Vitamin B and Vitamin E which makes them capable of strengthening your hair and repair the damaged hair. They cannot only strengthen your hair, but also have a moisturizing effect on your hair. All you have to do is, mash an avocado and add egg yolk to it. Apply it on your hair and leave it on for 20 minutes before you wash it off. Carrots is another fruits that is highly effective for hair loss prevention because they are great for your hair roots, and they give them the much needed strength. Extract carrot juice with the help of a juicer and keep it in the fridge for 30 minutes. Apply it directly to your hair to prevent hair loss. Onions reverse the hair loss and open the hair follicles. 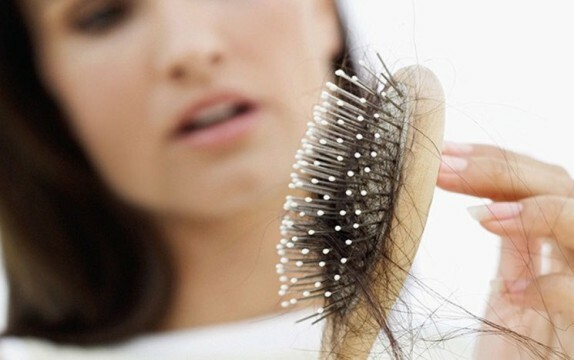 The thinning of hair, caused due to fungal and bacterial infection can also be avoided. All you have to do is extract the onion juice and apply it on your hair follicles. Wash it properly after 20 minutes, because the smell of onion might stay. Bananas are highly rich in potassium and vitamin A. They are known to be extremely good for hair strengthening and smoothing. A banana and honey hair mask revitalises damaged and weak hair. Mix one mashed banana with one tablespoon honey and apply this mask on your hair roots for 15 to 20 minutes and wash it thoroughly with a mild shampoo. Apart from coconut oil, coconut milk is also good for strengthening the hair roots. A coconut milk and honey mask is a good way to regain your hair’s lost strength. Mix coconut and honey together and apply it on damp hair. Massage it into your scalp and leave it on for one hour. Wash it properly with a mild shampoo afterwards to get the best results. An oatmeal mask nourishes oily scalp and strengthens hair by treating dandruff and protecting hair follicles. Blend one tablespoon oatmeal with one cup of fresh milk and almond oil together and make a paste. Apply this mask onto your hair after properly detangling it. Wash it off with lukewarm water after 15 to 20 minutes for best results. Following these tips and making use of all these home remedies will guarantee you a proper hair loss prevention plan. Feel free to add a comment and contribution in the comment box below and also share this post to your various social network. Thanks!